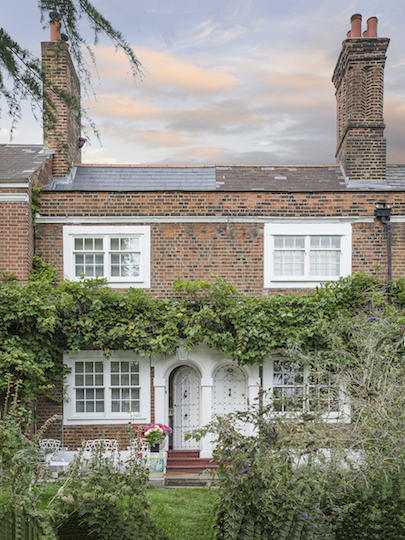 The renovation of this charming alms cottage took place in two stages. 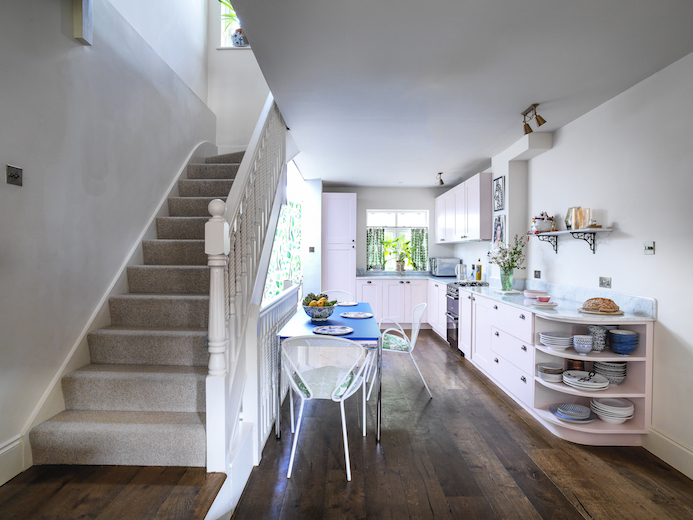 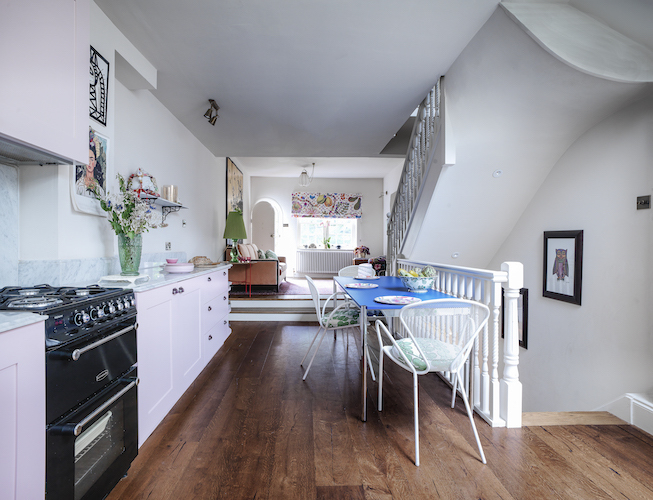 The owner wanted to create more space for her family and was resistant to move, so plans were drawn up to reconfigure the centre dividing wall and staircase as the first stage project. 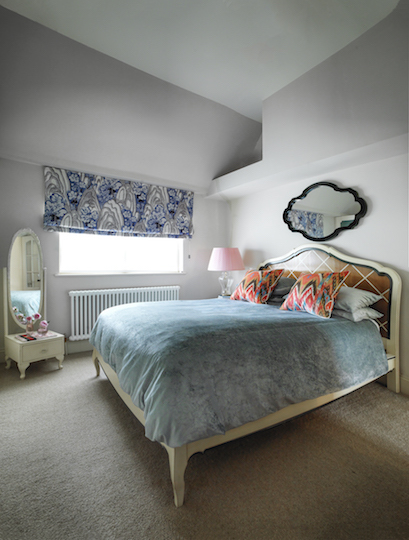 This opened up the cottage on both floors into a more open plan, bright living space, providing larger bedrooms and bathroom, whilst keeping the new design sympathetic with the original features. 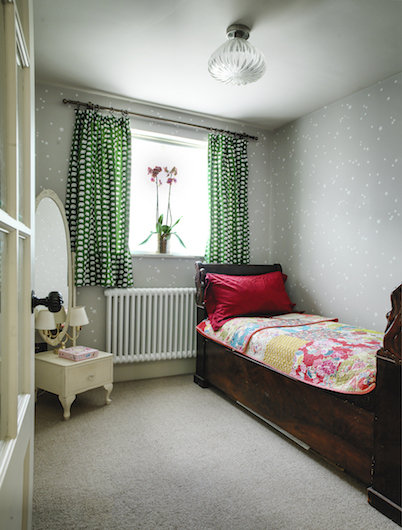 The chimney breast was also removed throughout the cottage to allow for more living room and bedroom space. 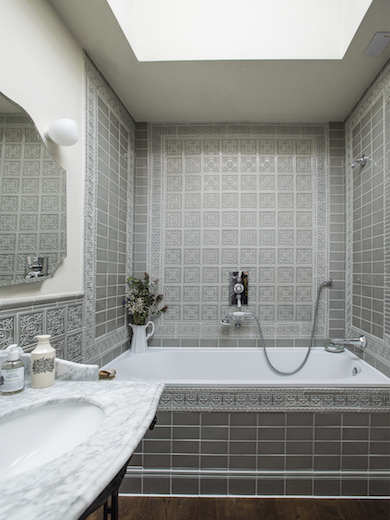 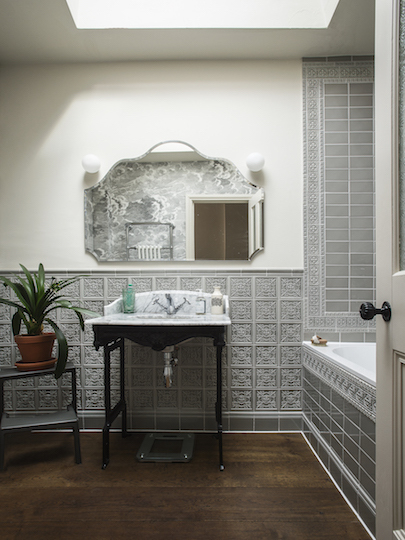 New oak flooring, a calamine pink bespoke kitchen, a bathroom redesigned with gothic-style tiles, mixed with an elaborate cloud wallpaper covered the integrated bathroom storage. 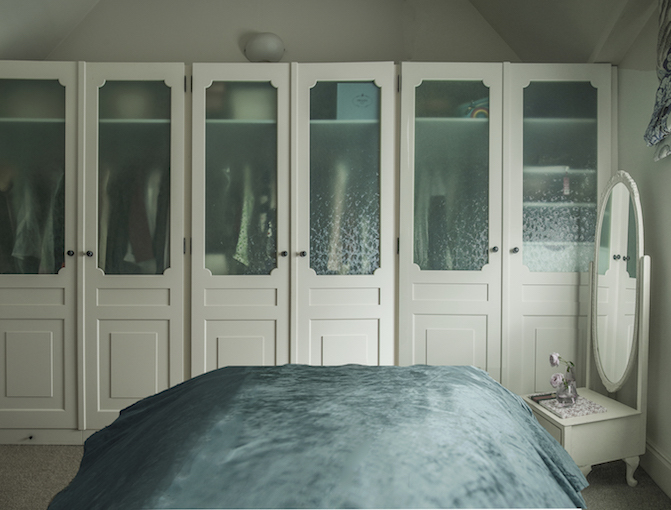 Vintage style joinery was designed for both bedrooms, allowing everybody the storage they needed. 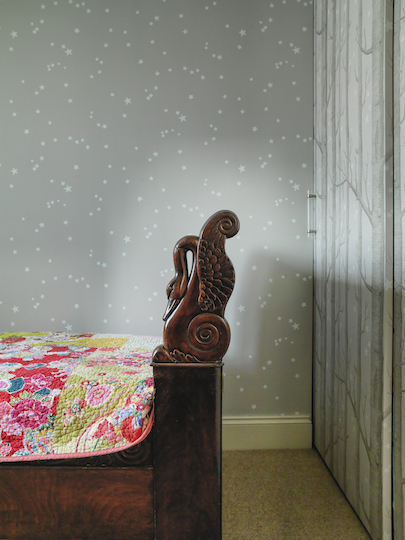 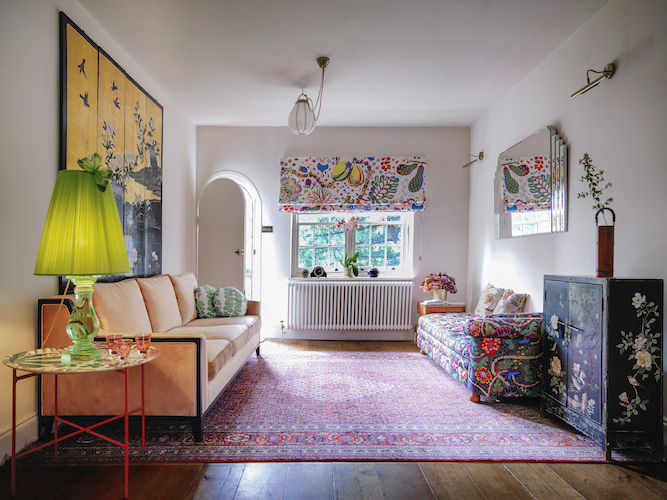 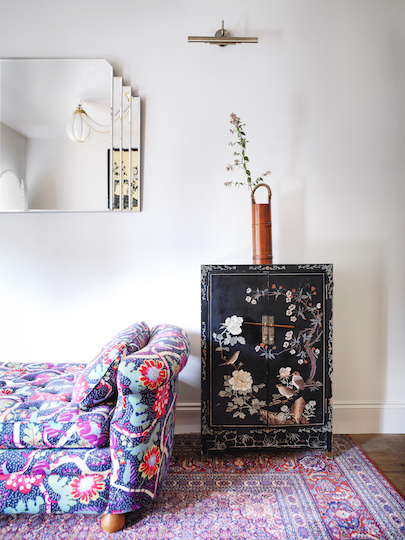 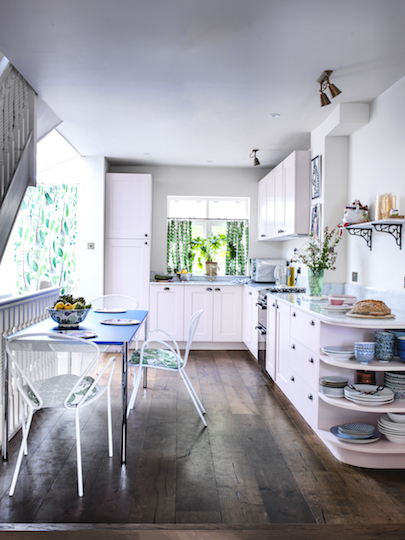 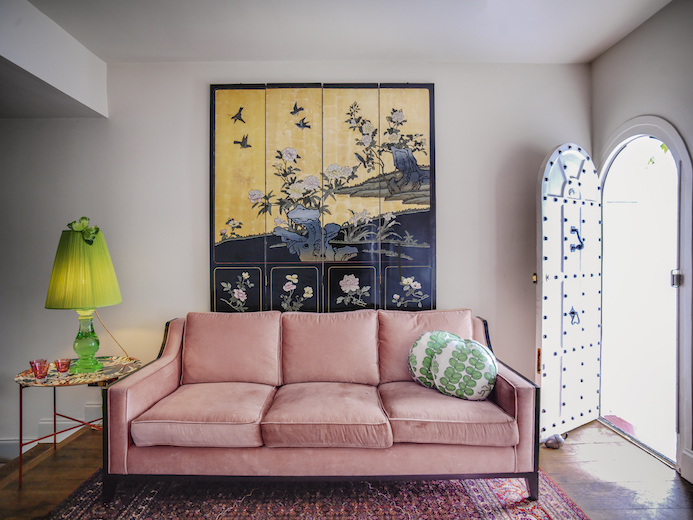 My client had already established a backdrop of eclectic interior influences from art deco, to vintage Japanese lacquered pieces, mixed with the iconic prints of Josef Frank. 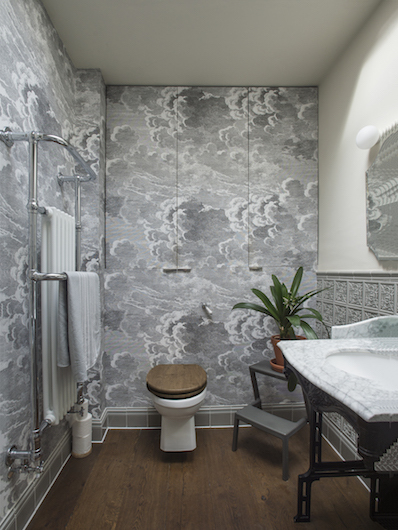 We added an opulent mix of wallpapers from Cole & Sons, tiles from Fired Earth and carefully chosen designer lighting, all to enhance and compliment the new interior.